SAPs UK was created in 2013 after the founder had 10 years experience working as a Building Control Officer for a Local Authority. For the last 7 years of this employment, she also undertook SAP Assessments for the Building Control Department and their clients. We believe that the combination of Building Control background and experience undertaking SAP Assessments, sets us ahead of our competitors by giving us more understanding as to what is required. We are now well known amongst some Building Control Bodies, both Local Authority and Approved Inspectors, and our work is trusted by them. We are fully accredited and trained through NHER scheme. In 2017 the NHER merged with Elmhurst Energy to become the largest scheme of Energy Assessors throughout the UK. We are fully insured and ensure that our staff keep up to date with the latest technological advances and changes to the Building Regulations requirements. We are based in Greater London but we can undertake assessments throughout the whole of the UK, including Scotland, as SAP Assessments are produced from drawings, so no site visits are required. We work around the clock to ensure that your reports are produced as quickly as possible to avoid delays on your project. 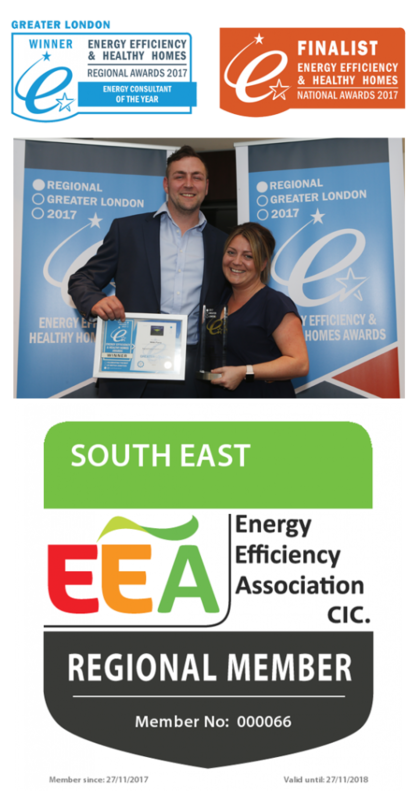 SAPs UK founder, Nikki Parra, was names London Energy Consultant of the Year 2017 at the Energy Efficiency and Healthy Homes Awards and was also a Finalist for the National Energy Consultant of the Year 2017 for the same award scheme. We are committed to ensuring that our clients can produce energy efficient homes by finding solutions which provide compliance without a huge expense.